State regulators signed off Monday on a proposal by utility company Ameren Illinois to alter the terms of its energy savings plan set under the state’s landmark clean energy law. With its decision, the Illinois Commerce Commission went against the recommendation of an administrative law judge who said in late August that the commission should deny Ameren’s request to lower its energy savings target. Prior to the decision, environmental and consumer advocates said residents in central and southern Illinois would pay nearly 30 percent more than projected on utility bills if the state approved the company’s plan. The new law required Ameren to achieve 16 percent annual savings by 2030 relative to average annual electricity sales over the past three years. But the company asked the state to allow a 27-percent reduction of its target compared to the target that was just agreed to under the law. The target approved by the commission on Monday is higher than the one requested by Ameren but is significantly lower than goals established by the new law, according to the Natural Resources Defense Council. NRDC had opposed Ameren’s request along with the Environmental Defense Fund, Citizens’ Utility Board and Illinois Attorney General Lisa Madigan. Approval of Ameren’s plan could also jeopardize up to 7,000 jobs that were made possible by the new law, according to NRDC. Ameren Illinois serves 1.2 million electric and 816,000 natural gas customers in central and southern Illinois. (Ameren Illinois) In its request to regulators, Ameren said that without a lower target, it would need to spend 44 percent more per kilowatt hour of energy saved than ComEd because of “unique circumstances” of Ameren’s service territory. The company serves 1.2 million electric and 816,000 natural gas customers in central and southern Illinois. But Madigan’s office said Ameren’s calculation was an “unusually expensive” and “indefensible” forecast of projected costs associated with energy savings, according to documents filed with the commission. Ameren’s target was already lower than that of ComEd, which has not requested an adjustment of its savings goals. 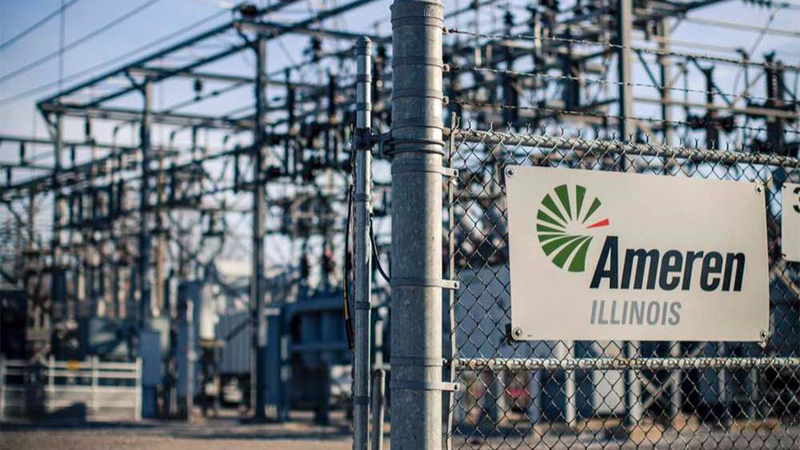 Over the past five years, Ameren has contributed nearly $3.5 million to state politicians and political parties, according to campaign contribution data from the Illinois Comptroller’s Office. More than a dozen state legislators submitted letters in support of Ameren’s plan to reduce its energy savings target. Records from the Comptroller’s Office show that the legislators received nearly $500,000 in combined donations from Ameren over the past decade. Aug. 30: The Illinois Commerce Commission has until mid-September to rule on a downstate utility provider’s energy efficiency plan, which consumer advocates say would cost residents nearly 30 percent in savings on utility bills and jeopardize 7,000 jobs. Aug. 10: Residents in central and southern Illinois will pay nearly 30 percent more on utility bills than projected if Ameren is allowed to lower its energy savings target, environmental and consumer advocates said Wednesday. July 18: Efficiency plans filed by Ameren Illinois fail to comply with the state’s new energy law and could prevent the creation of additional jobs, according to a new report.